it seems you have two AAA configurations in your NAC. One is “basic” one is “advanced”. i guess your NAC configurationnis using the basic one. 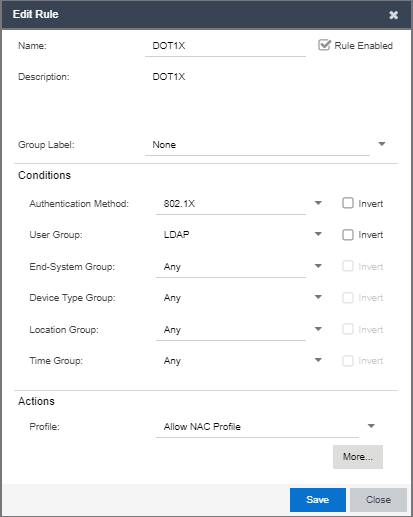 option 1: change the nac configuration to use the aaa configuration “advanced” with two rules you have there. option 2: change the basic configuration to the “asvanced” (right click on the aaa configuration, make advanced). do not forget to enforce. In your switch config I do not see AAA configuration. 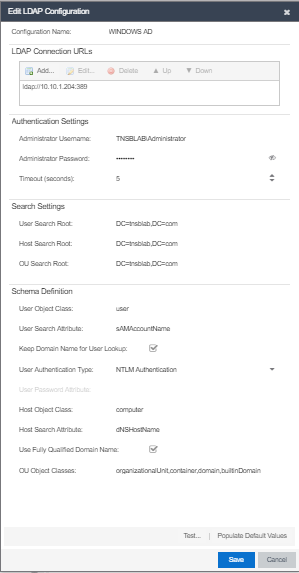 If you have CLI credentials working in Extreme Management Center and if the switch is assigned to the Access Control Engine and you leave the default values when you add the switch to the acceas control engine then the AAA will be configured for you. Otherwise you need to setup radius on the switch. configure radius 1 shared-secret encrypted "#$H6YKEMmpgZRQk4/3ZdZ92pVm5Hk/CXk/2HCOmoHAXF8aH95P9HI="
configure radius-accounting 1 shared-secret encrypted "#$u/KlXkwtQYtxcaLzMBFRZNJ3P40ahHVoYZQKgn1moK1Q8R+3INg="
1 = do you see radius request coming from the switch to your Access Control Engine? 2 = do you see dot1x in the radius request? or just MACauthentication? 3 = do you see end-system in the end-system table? how it looks like "accept / error"
4 = What is the supplicant (client) setting? 5 = anything in the logs? do you got guide to do this? Please share the error message you see in the end-system table. Please share the supplicant config on your end system.